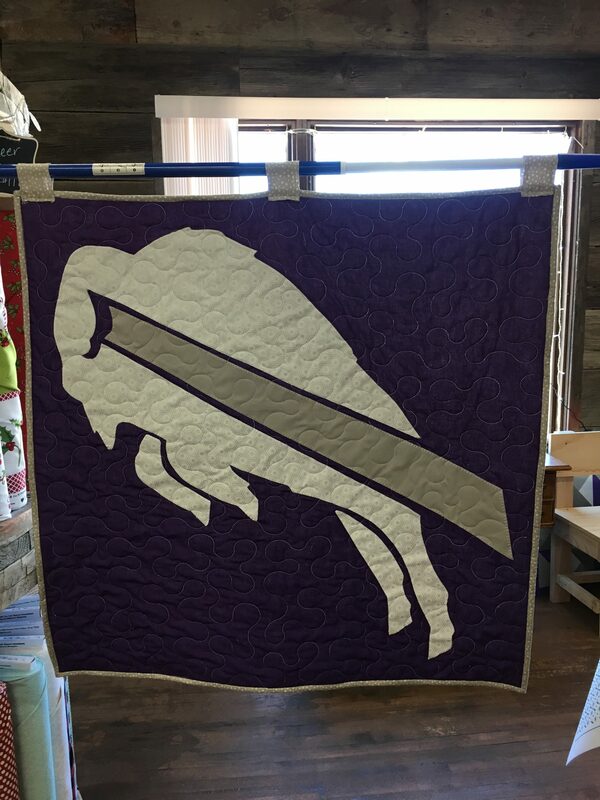 has evolved into a 75×90 Buffalo Pride Quilt. 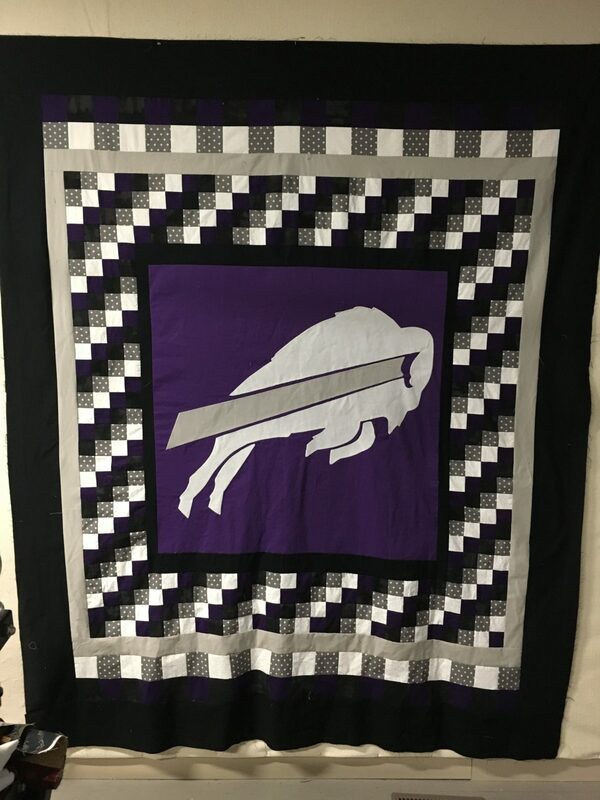 It is purple, grey, white and black and features a large appliqué of the Meade Buffalo in the center panel. 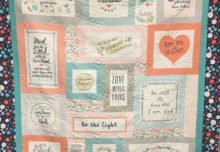 There are so many ways to change up and personalize this quilt it is exciting. If you would like a memory quilt of your child’s year(s) through Meade, the squares are made to sizes that can be removed and photos inserted sporadically. You can also change the 2×2 squares to 4×4 squares for less drama (and a lot less sewing). I can’t wait to get this on the quilt machine this week!! 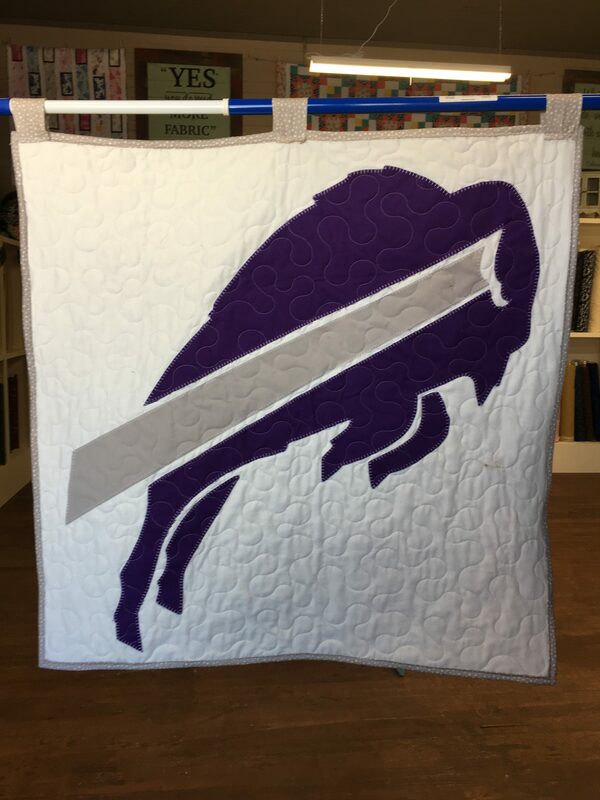 If you would like a custom Buffalo Pride quilt, let us know. We can cut kits with fabrics of your choices (we have some adorable lavender basics that would be really nice looking for a girl). We are also working on Mustang, Goldbug, Wildcat and Bluejay panels. 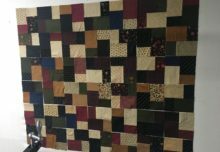 Now on to a quilt of valor…Happy sewing! !